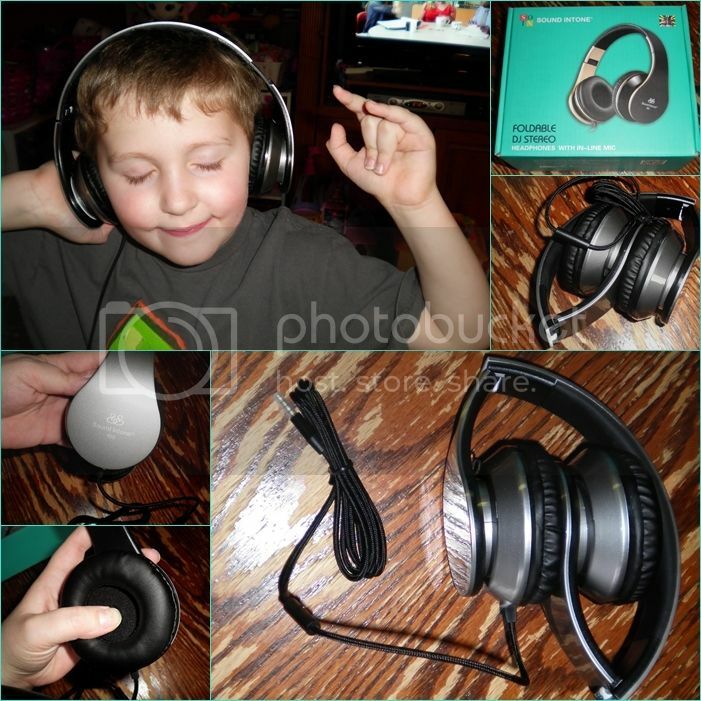 What I love: Sound Intone Headphones with Microphone are just what I have been looking for. It seems like today everybody uses earbuds but no one uses nice quality normal headphones anymore. Especially when you are relaxing it's nice to have headphones that cancel out all the outside noise and allow you to relax and listen to your music or shows. Sound Intone headphones a durable quality construction. They fold up which is really great for taking them with you in your bag! They feel like the hinge is very strong. The headphones are lightweight and comfortable, regardless what size your ears are. The earpads are very soft and squishy and feel nice over your ears even after hours of wear. I love that they have a built in microphone and music control so I can even use them for my phone and tablet with calls enabled! The tangle free braided flat audio cable is about 4 feet and plugs in with a normal 3.5mm jack, compatible with all devices such as phones, tablets, computers, handheld gaming systems and mp3 players. The sound is really good. They are not high quality sound but they are not high quality price either. I think without spending $100 on a pair of headphones these are quite great for your money. I had no problem with sound quality while listening to music or tv.